It’s not the name calling that gets anti-transgender activists in trouble, it’s the harassment. It’s the incitement of hatred. It’s the acts of prohibited discrimination. Bill Whatcott, Meghan Murphy, Kari Simpson, Laura-Lynn Thompson, or Jordan Peterson calling people names has never been illegal. Taken individually, Bill Whatcott’s awful statements about me were never the basis of the March 27 BC Human Rights Tribunal ruling ordering him to stop. Since April 2017, he has been engaged in a transphobic and derogatory harassment campaign against me but the tribunal’s order is only about the content of that first flyer. The reason Bill Whatcott was found guilty on March 27 2019 of prohibited discrimination under Section 7 of the BC Human Rights Code was simple: he published material declaring his intention to discriminate against me specifically on the grounds that I am transgender and because he urged others to do the same on those grounds. His saying awful things about me in public for two years since was submitted as evidence of a pattern of behaviour to illustrate his intentions and the harm that he was causing. There is no legislation in Canada stopping someone from claiming a woman is a man or preventing their being deeply disrespectful to a person. The only context in which we prescribe statements is when we take an oath and there is no law governing expression online since the Harper Government revoked section 13 of Canada’s Human Rights Act. Section 13 covered communications. The only tools available are tort and criminal law. Today. Laws don’t stop people from acting inappropriately in public. Social norms do. We call these manners. Nonetheless, some laws did have to be written to deal with members of our community who go so far that they become more than nuisances. Society writes laws to protect itself from people who cause damage – because people such as Bill Whatcott and his club of antagonizing meanies exist – people who go too far. Kari Simpson or Laura-Lynn Thompson could most likely stand on a street corner and yell that Meghan Murphy is an abomination who should be driven away without any consequences. However, nobody can publish material declaring their intention to discriminate or inciting others to do so on prohibited grounds. Publishing a tract saying it is illegal. The same protection applies on the basis of all prohibited grounds of discrimination. When a woman displayed an anti-transgender sign at the January 2018 March On Vancouver, she deliberately wrote it to attack the validity of transgender women. She called transgender women a stereotype, said transgender women are men, and wrote that there is no ethical or moral duty to “LIE to soothe a male EGO” as she told people not to believe “the hype“. When Meghan Murphy calls transgender women men or claims laws protecting transgender persons from discrimination harm women, she is doing the same thing. Excluding transgender women on the basis of gender identity is prohibited, without exception. Advocating for this discrimination is a prohibited act if published. 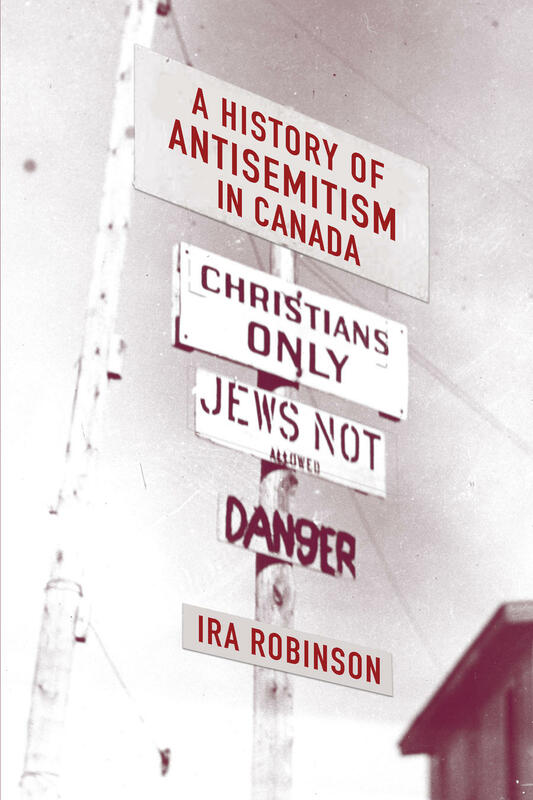 When Your Ward News was hit with a permanent postal ban in 2018 for targeting women and Jews, the Centre for Israel and Jewish Affairs (CIJA) wrote that “Your Ward News promotes disgusting anti-Semitic conspiracy theories, misogyny, homophobia, and racism. Our taxpayer-funded mail service should not be used to distribute such hateful content to hundreds of thousands of households. It is shocking that such vile messages are being peddled here in Canada in 2018. Just think about a Holocaust Survivor picking up their mail only to find neo-Nazi propaganda on their doorstep. This is totally unacceptable. The first time in Ontario’s history that a charge of wilful promotion of hatred against women had been laid, according to the Office of the Attorney General. Worksafe BC sets workplace safety standards in British Columbia. The BC Human Rights Commission sets inclusion standards for the province In Canada, each province or territory has equivalents to these. Among other roles, these organizations enforce provisions that address bullying and harassment at work, as well as working conditions that cause mental health injuries such as anxiety or depression by enforcing applicable legislation. This enforcement is embodied with employers through employment contracts and compulsory codes of conduct employees must adhere to. These protect workers from situations of harassment, bullying, or discrimination. When Jordan Peterson stated he would refuse to treat an employee with dignity by using chosen pronouns in 2015, he was given an opportunity to access training on the matter. Were peterson to actually be disrespectful to a student or colleagues in the fulfillment of his job as he promised to do, Peterson would face disciplinary action by the University of Toronto. Failing to act on anti-transgender harassment or any other form of prohibited discrimination would expose the University to legal liability. People are entitled to the reasonable expectation to access services safely and without being exposed to discrimination. For example, a Francophone family whose children attend a daycare at a cultural centre that rents meeting space for public events would be reasonably entitled to expect that the facility never be used for hosting a public event that organizes discrimination against them or makes them feel unsafe – for example instructing people how to pressure local organizations and businesses to only provide services in English. As another example, a child accessing a service is entitled never to face discrimination or harassment there because she is transgender or has a transgender parent. She is entitled to not be exposed to anti-transgender propaganda. Organizations that provide services to the public have responsibilities and must adhere to standards set out by legislation. Accommodation requirements set out by Canadian and provincial human rights laws require a reasonable effort to accommodate people against discrimination on prohibited grounds wherever feasibly possible. The jurisprudence takes into account how sophisticated and large the provider is and whether there is a reasonable expectation for the accommodation to be made. For example, a professional service provider on the upper floor of a building without an elevator may not be required to be wheelchair accessible, a University may not be required to have baby-changing tables in each washroom of every building, or a very small one-person waxing salon may not have all the staff needed to provide every service or a specialized service a large salon chain might be expected to deliver to its clients free of discrimination. The BC Human Rights Tribunal provides clear guidance about what discrimination in the delivery of a service means in British Columbia. Meghan Murphy or Bill Whatcott’s charter right to free expression does not convey any right to say whatever they want to say wherever or whenever they choose – or to hold down a job when doing it. We put limits on free expression in Canada because of people like Bill Whatcott, Meghan Murphy, Kari Simpson, Barbara Kay, and Jordan Peterson who have deliberately incited prohibited discrimination. It is sad that we need to do this because people who do not know how to comport themselves decently in a society need to be managed because some people seek outcomes that we all agree are harmful.